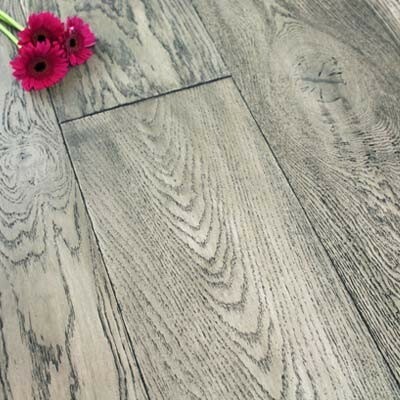 Grey coloured engineered wood flooring has usually been stained to change the colour of the natural wood slightly. 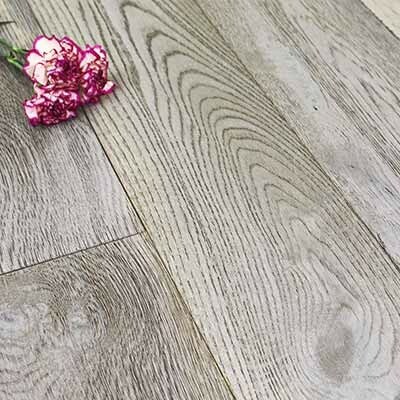 The stain or tint that will have been added can either be quite dramatic to create a truly grey floor, or it can be more subtle to just accentuate the grain with tones of grey. 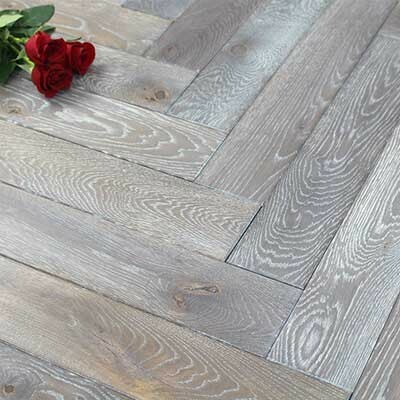 Grey hardwood floors are becoming very popular as they give a modern and chic appearance, whilst still exuding the natural beauty and luxury of real wood. The paler tones of grey can help to brighten up a dark or small room, while the darker grey floors will add depth and character to any space. 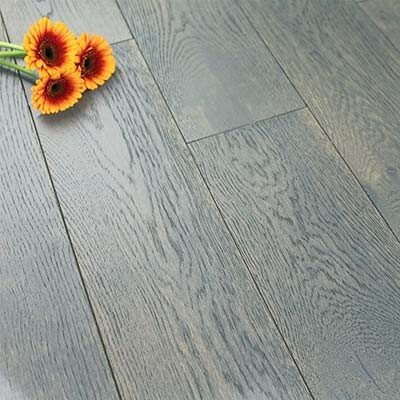 Why should I choose grey coloured hardwood flooring? 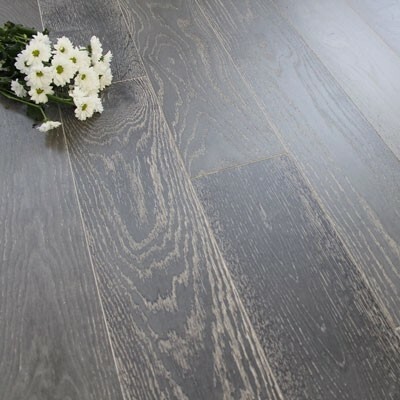 A grey coloured floor is a popular choice and complements almost any home or interior décor. 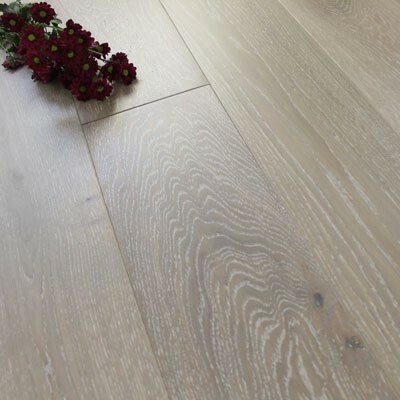 If you want to lighten a darker room, then choose one of our pale grey floors, or if you have a large space, then any of the grey hardwood would look fantastic. A grey floor will easily complement any room or property whether it be a country cottage or a brand new studio apartment. 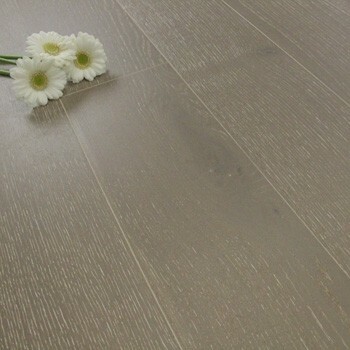 In the range of grey coloured engineered wood floors, we have different surface finishes to choose from. Some of the floors have simply been protected with an oil or lacquer, where others have been brushed to create a textured and more rustic appearance. You can choose from either click fitting or the more traditional tongue and groove fitting flooring. Alternatively you may want to choose one of our parquet block floors, which are used to create geomantic patterns and styles. All hardwood floors are relatively easy to clean as long as you follow a regular routine. Start by sweeping on a daily basis with a soft brush and follow by regular cleaning with a wooden floor cleaning spray and mop. For more cleaning and maintenance tips and advice, have a look through our Maintenance and Care Guide. 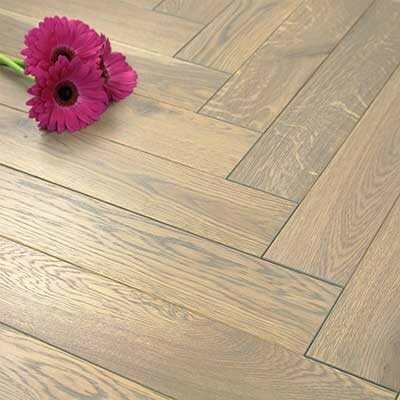 We do sell a wide range of hardwood flooring accessories. Depending upon the type and colour of flooring that you choose, we have either solid Oak accessories or solid Walnut accessories. We should have everything that you need to complete the look of your room, including: skirting, door stops, door bars and thresholds, beading and pipe covers. If you are looking for more of a contrast, then why not have a look at our MDF accessories or aluminium flooring accessories. 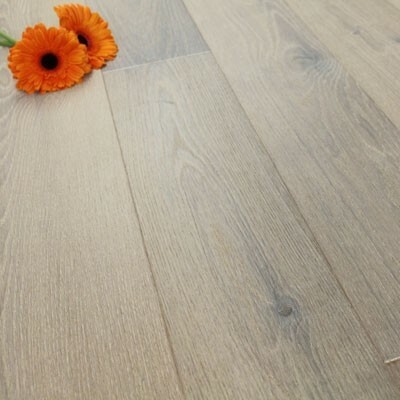 If you are still unsure about what colour flooring to choose, we also have white engineered flooring, medium coloured engineered flooring and dark coloured engineered flooring. 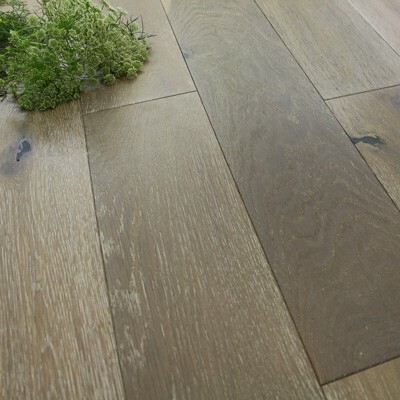 Or, why not take a look at our range of solid wood flooring. If you require any help or technical advice when choosing your floor or flooring accessories, please don’t hesitate to contact us. Alternatively come along to our showroom where we have over 200 hardwood and bamboo floors on display for you to look at in more detail. 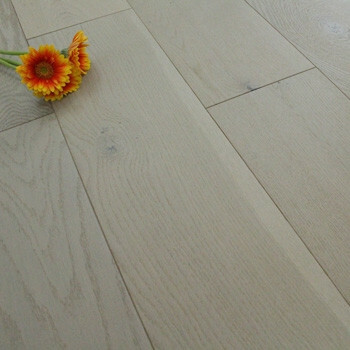 Did you know that you can order free samples of our flooring? Visit our sample page now.